The Plymouth division was created in 1928 by Walter Chrysler as a more affordable option to the Chrysler line. It was Chrysler Corporation’s first entry in the low-priced field, which at the time was dominated by Chevrolet and Ford. Despite the looming recession the Plymouth brand became the third bestselling make by 1931. The logo featured a rear view of the Mayflower of Plymouth Rock fame but the Plymouth brand name came from Plymouth Binder Twine, for its popularity with farmers as a common household item. 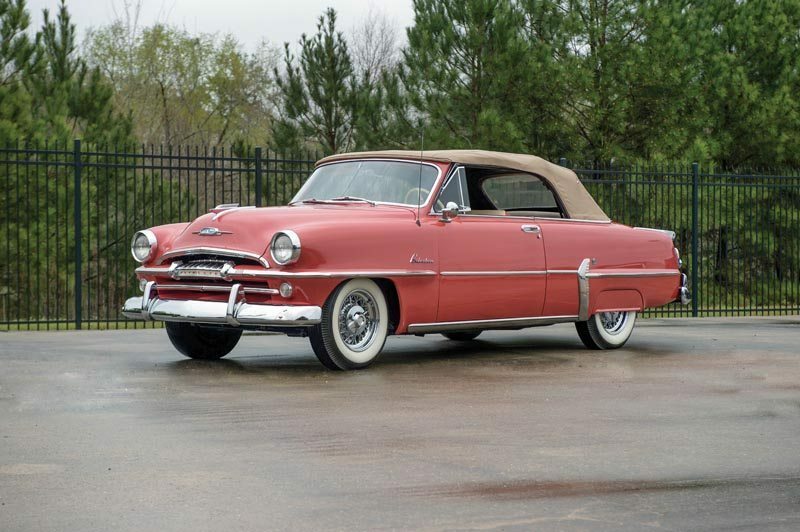 In a revamped 1954 lineup, the Belvedere series was Plymouth’s finest, replacing the Cranbrook and designed to compete with the Ford Crestline and Chevy Bel Air. 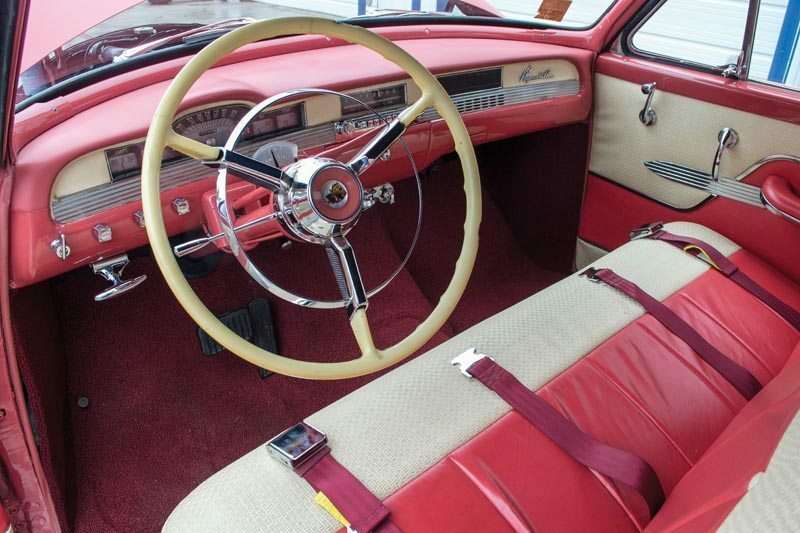 The ’54 Plymouth lineup offered proven mechanicals, a reasonable size and sensible styling. Now, buyers could choose a convertible, two-door station wagon, four-door sedan or the aforementioned two-door hardtop, called the Sport Coupe. 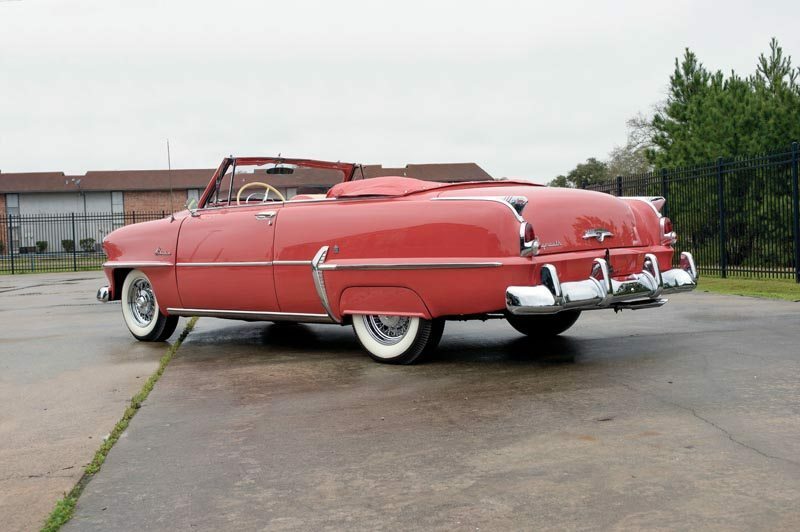 Just 6,900 Belvedere convertibles were produced in 1954. Belvederes were treated to a full-length chrome sill molding and full-length side moldings running from the front fender rub rail back to the rear fender stone shield, then dropping slightly to extend rearward on the rear fender rub rail. On all models a chrome belt molding running beneath the windows and above the deck lid provided the color break line for two-tone paint combinations, Belvederes were also graced with a chrome rear fender molding, which gave just the slightest hint of a fin and added the illusion of extra length to the car. The 1954 Plymouth was longer than its 1953 sibling by 4 inches, accomplished by moving the bumpers outward. 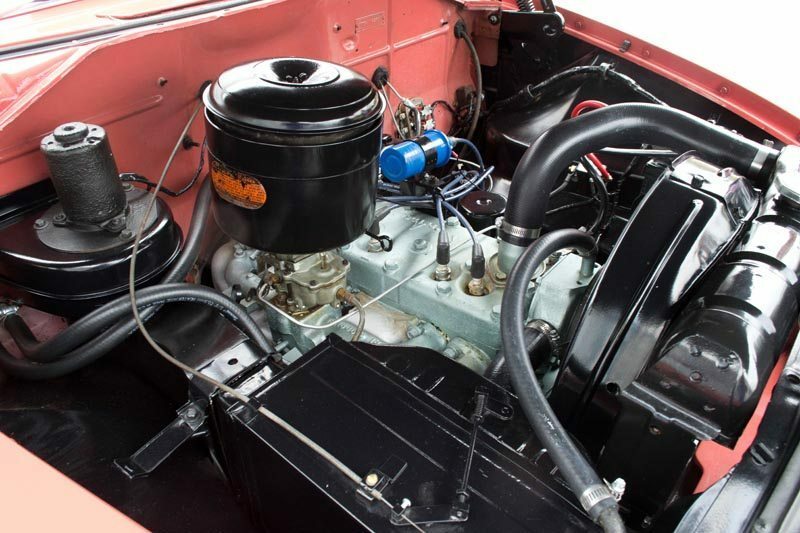 Initially, the 100 HP 218 ci flathead was the only engine offered, but by the time this car was produced, the larger 230 CID six with 110 HP became available, and mated to the new Power-Flite automatic transmission, making it an easy car to drive and capable at highway speeds. 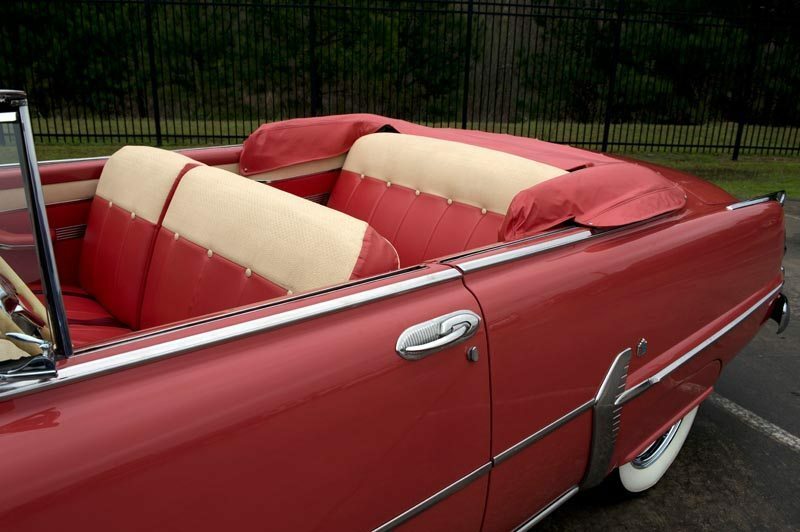 This convertible’s optional Hy-Style paint and trim package was also introduced mid-year. This Belvedere was frame-up restored and is finished in beautiful Rose paint with a tasteful Cream interior for an elegant look that is highlighted by the chrome wire wheels and fender skirts. The tan top is power operated, and up or down, it’s got a great 50’s look, and the quality of this vehicle is evident top to bottom. If you have a Plymouth Belvedere or another collectible you’d like to insure with us, let us show you how we are more than just another collector vehicle insurance company. We want to protect your passion! Click below for an online quote, or give us a call at 800.678.5173.